The Traffic Engineering section is responsible for making sure that the roadways are available for the safe efficient conveyance of vehicle, pedestrian and bicycle traffic. 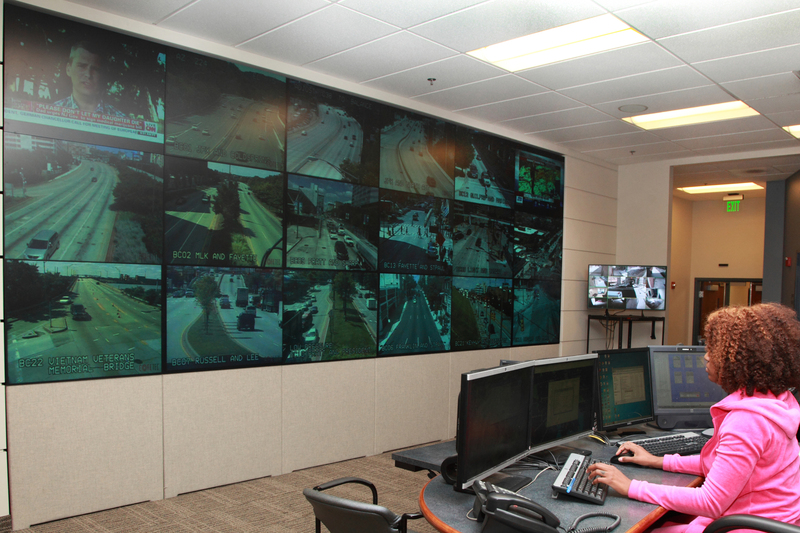 Traffic management plans are developed and implemented for parades, sports events, fireworks etc. Requests for lane or street closures for construction or events are reviewed and the field set-ups are inspected. Set-ups are installed to facilitate road work performance. This section generates plans and work orders for installations of signs and pavement markings. All new development plans are reviewed to ensure that safe and efficient movement of traffic and the plans are prepared for any needed traffic improvements. Truck restrictions are established and modified as needed to strike a balance between community impacts and the needs of businesses. Permits and routes for oversized loads are issued and escorts are provided to coordinate with police. Traffic engineering personnel work with community groups to address concerns and to develop traffic calming measures where appropriate. Traffic engineering personnel also work with the MTA to improve the Regional Transit System. This facility installs and modifies traffic signal installation that is included in the above ground and underground work which involves commute cable installation and repairs. This facility assists other divisions with installation of poles for police surveillance cameras and the removal of large trailblazer signs. This facility is responsible for the repair of all electronic components associated with traffic signals. Examples are the traffic signal controllers and associated electronic components, pedestrian push buttons, vehicle detectors, traffic monitoring cameras and signal bulbs. A 24 hour maintenance operator is maintained to provide quick response to address any signal operator issues including bulb replacement.